Review of another one of those odd, novelty sets. 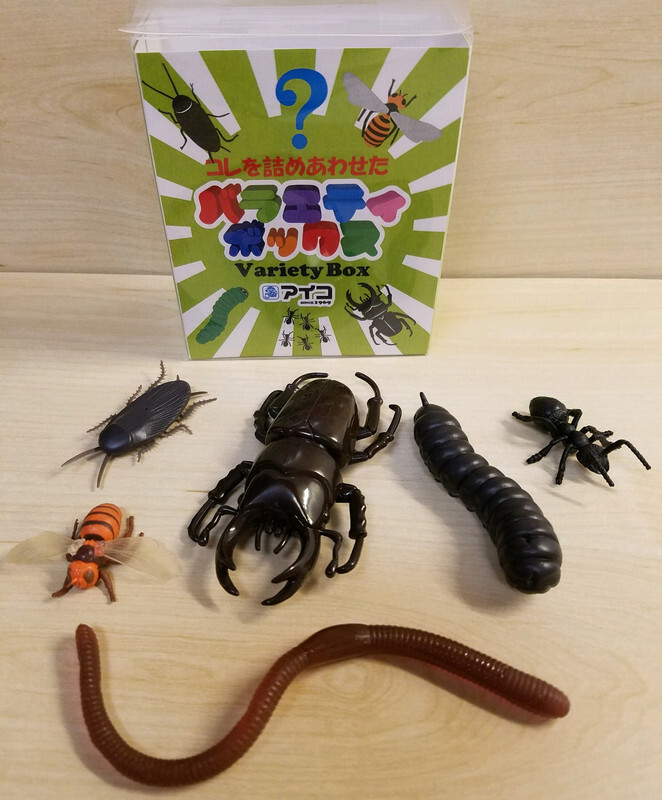 This one is called Insect Set to the Party Box by a company called Aico (release date unknown). It looks like it was intended to be used for novelty toys for children's birthday parties and such. It is a random mix of figures. The figures themselves are quite varied in size, material, and level of quality, suggesting they were commissioned from different manufacturers. There are 12 figures representing 6 species. Most are your typical gashapon to bin style sizes. First up, a generic Dorcus hopei. It is very smooth, somewhat stylized, and solid/stiff. It is not clearly a knockoff of the more familiar companies that have produced this species. Size-wise, it is similar to T-TARTS B.I.G. Insects or maybe F-toys figures. 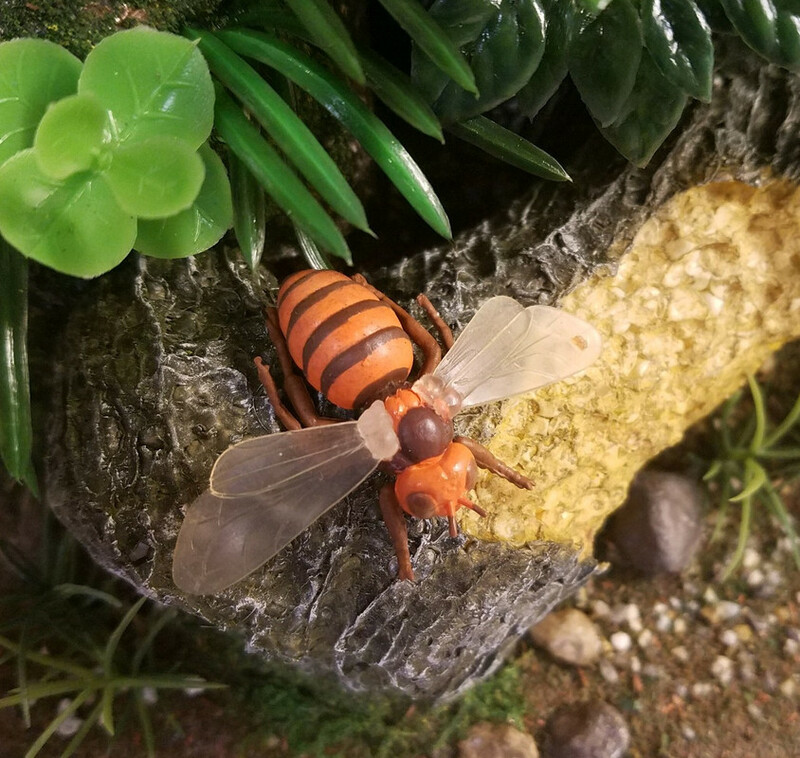 Next, a figure that was marketed simply as a 'bee' but most-certainly represents the giant Asian hornet, Vespa mandarinia. This figure is among the smallest in the set! Next, a generic sphingid larva (hornworm). Too bad a species could not be attributed to it; it's a neat one! 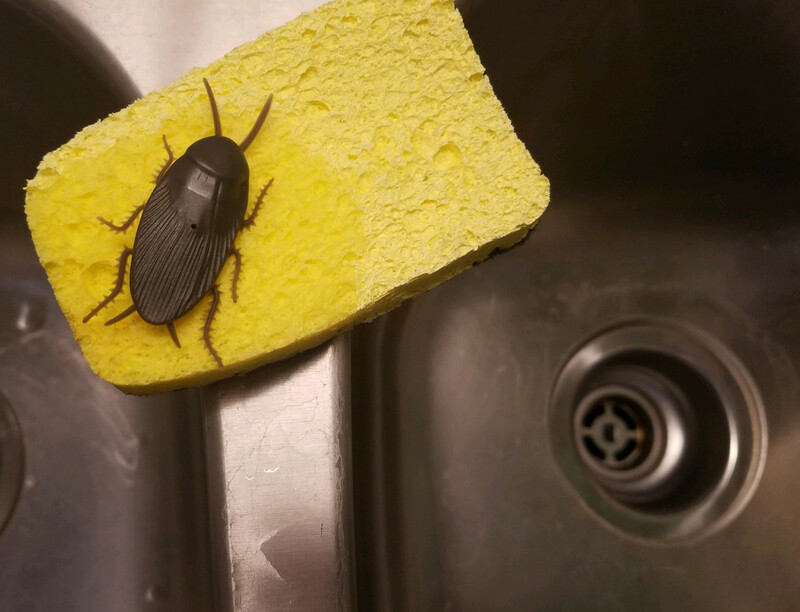 One of two cockroaches in the set. Similar to many bin-style figures, these are made of a very stiff, firm plastic. Lastly, the ants. 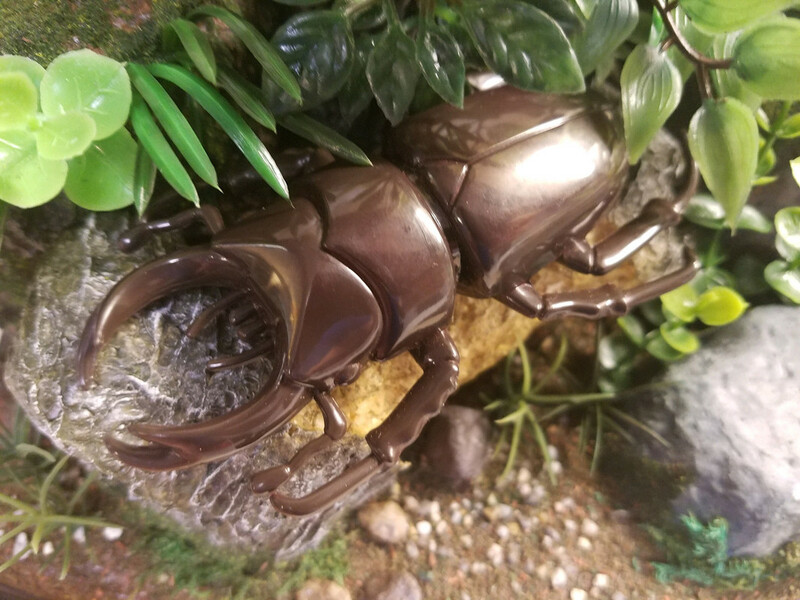 These are the same sculpt as the ant in the K&M International Itsy Bities Bucket (http://animaltoyforum.com/index.php?topic=2185.0). There were five in the set. I decided to get creative here. I used super glue to adhere three of them to half of a 4D Master log. I then used super glue to attach one of the Kitan Club mushrooms to the log too. 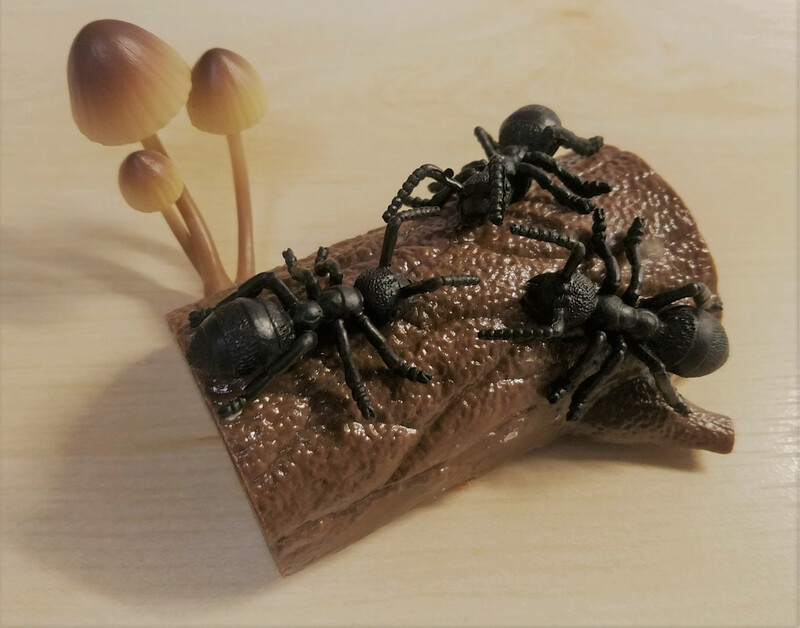 The final product a cool little ant diorama! A curious set! I like the little dioramas you created with them. 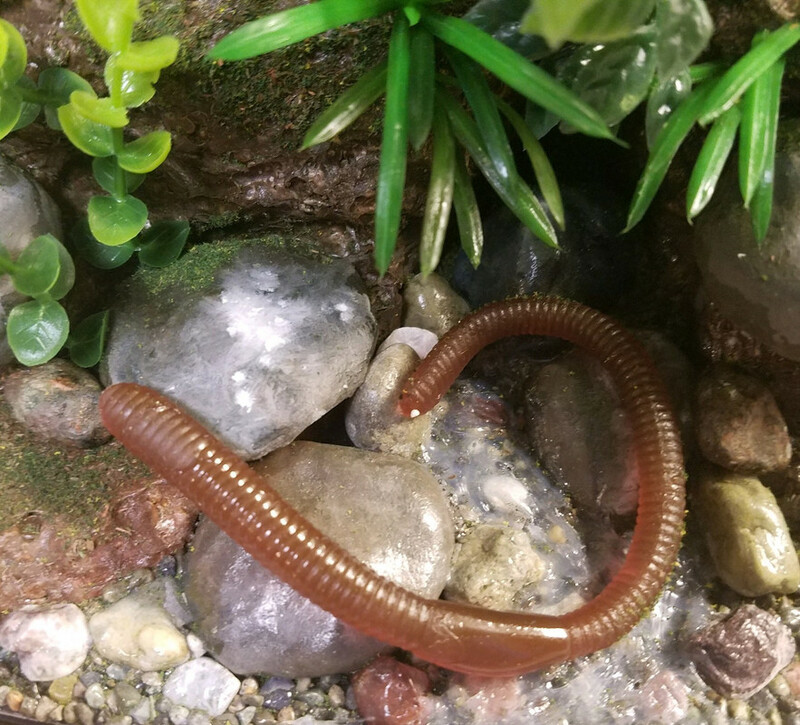 The choice of material for the worm is interesting. 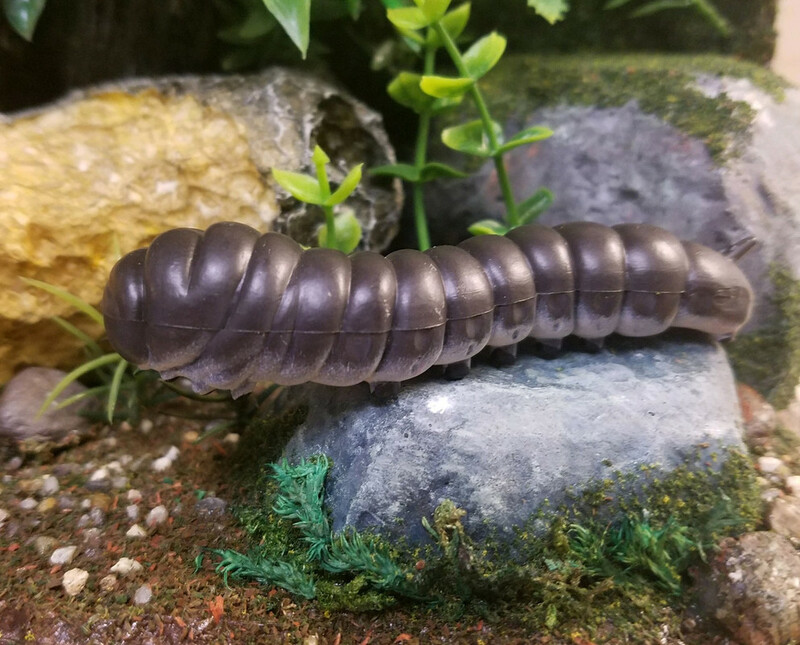 It looks a bit like an edible jelly worm.